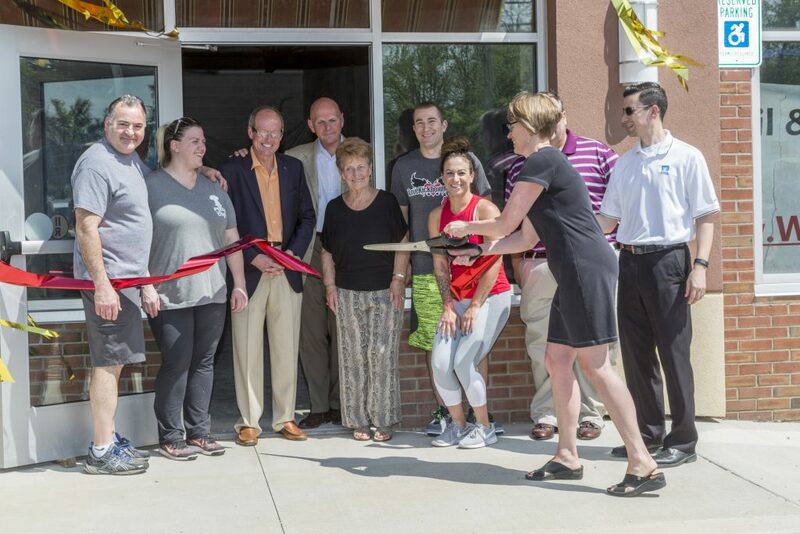 On Thursday (today), principals from Whitney Town Center were joined by Town and County Officials, State Representatives, local business owners and residents to celebrate the official Ribbon Cutting and Grand Opening of Whitney Town Center. Located at 650 Whitney Road in Fairport, the site that was previously home to Rochester Telephone, Whitney Town Center has revitalized the building and site into a vibrant plaza that includes national and regional tenants. Tenants of Whitney Town Center include: Pizza Chef, Zen Nail Spa II, Sew Creative, and I Love Kickboxing. The ceremony will mark the completion of the multi-million renovation to the former Rochester Telephone building. Without any significant renovations for several decades, the building and site had become rundown and was sorely in need of a facelift. After a near complete “gut” of the interior and a new roof, facade, windows, and canopies, the building is nearing capacity with locally owned businesses featuring custom build-outs. The newest place to live, shop and play on the east side! Whitney Town Center in Fairport, NY will feature 28,500-square-feet of retail space, professional offices and medical services, offering a warm and welcoming neighborhood shopping experience. With a potential mix of casual dining, service providers and retail shops, along with abundant outdoor recreation areas, there’s something for everyone. For tenant leasing information, please visit www.WhitneyTownCenter.com. Central to the Whitney Town Center development, The Legends at Whitney feature 151 market rate apartments for active adults 55 and better. This brand new, state-of-the-art apartment community frees you from the responsibilities of home ownership, leaving more time to enjoy living and your favorite activities. Please visit www.LegendsatWhitney.com today to find out more about the convenient, comfortable, carefree living experience. Located at 650 Whitney Road in Fairport, the site that was previously home to Rochester Telephone, Whitney Town Center has revitalized the building and site into a vibrant plaza that includes national and regional tenants.